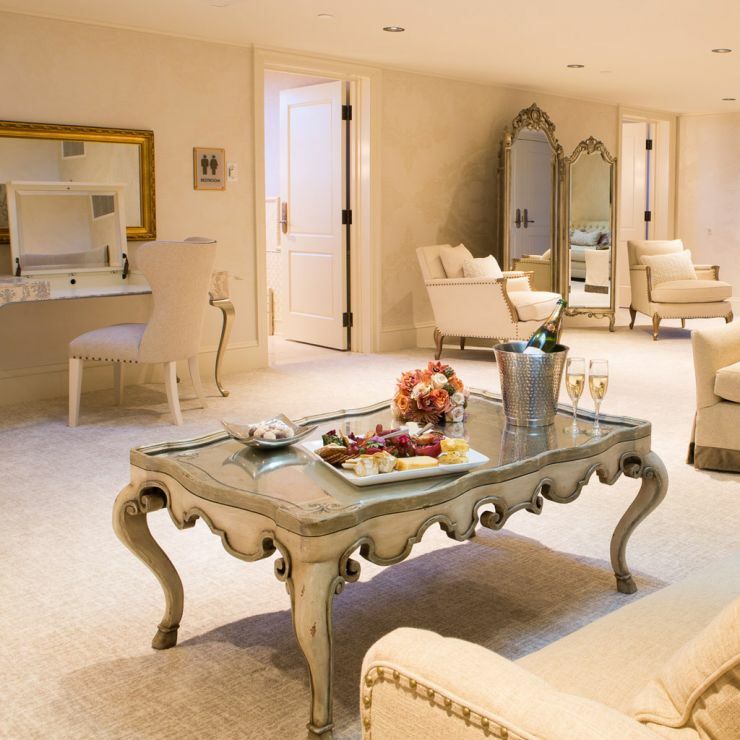 Start by dressing for your day in our spacious Wedding Suite overlooking the reception space. Luxuriously decorated with two restrooms, make-up tables, ornate tri-fold mirror and linen furniture. 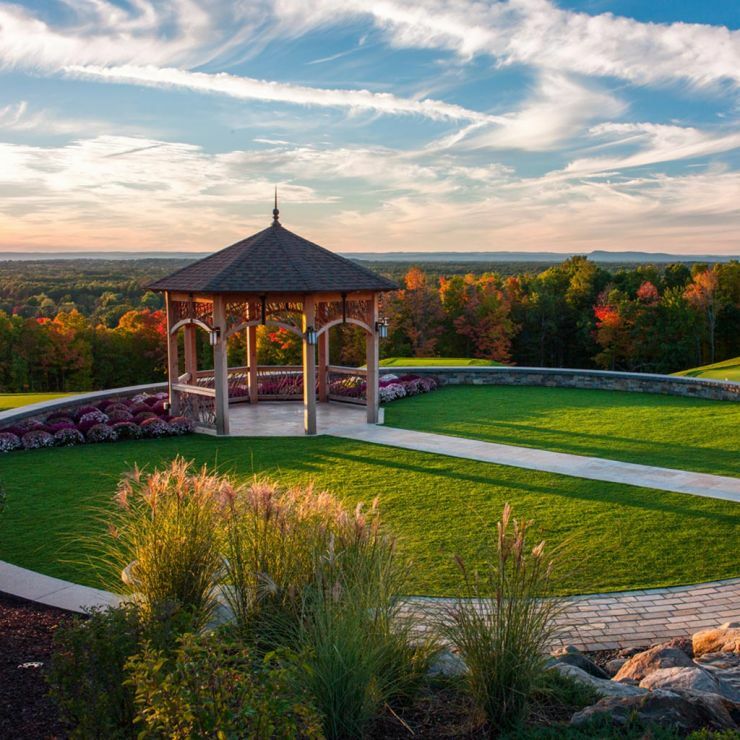 Exchange vows in our enchanting Wedding Garden under our custom Adirondack gazebo, manicured garden and waterfall. 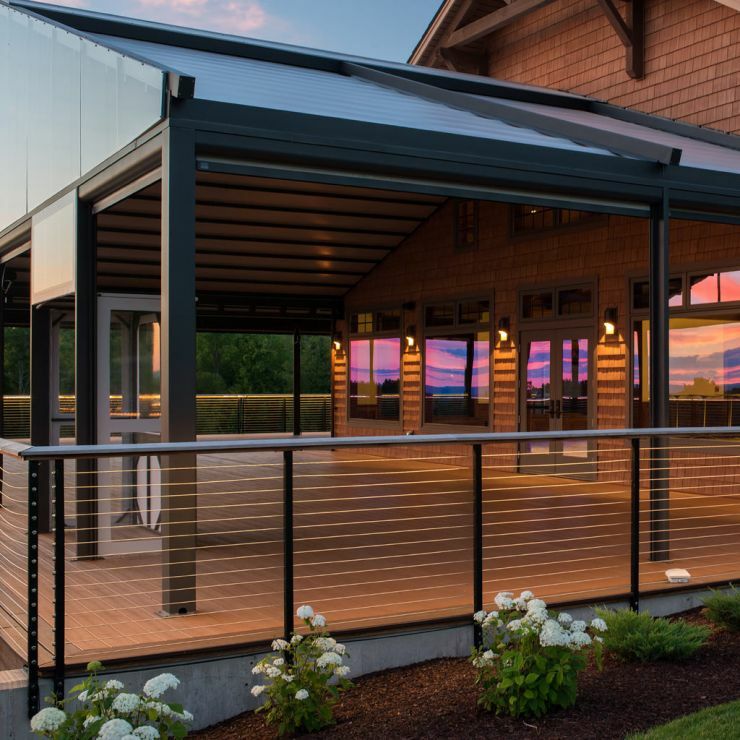 Enjoy cocktails on our covered 3,000-square foot deck with a spectacular 100-mile picturesque panoramic view of the Connecticut River Valley. Enjoy the views and cuisine from Reception Room A. 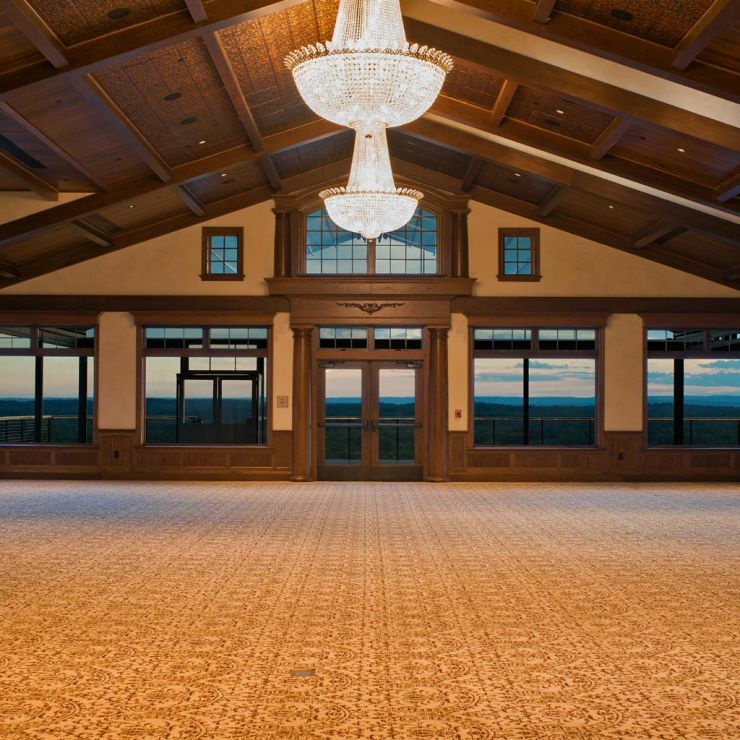 Beautifully decorated with Swarovski chandeliers hanging from our copper ceilings only to be completed with a stone fireplace. 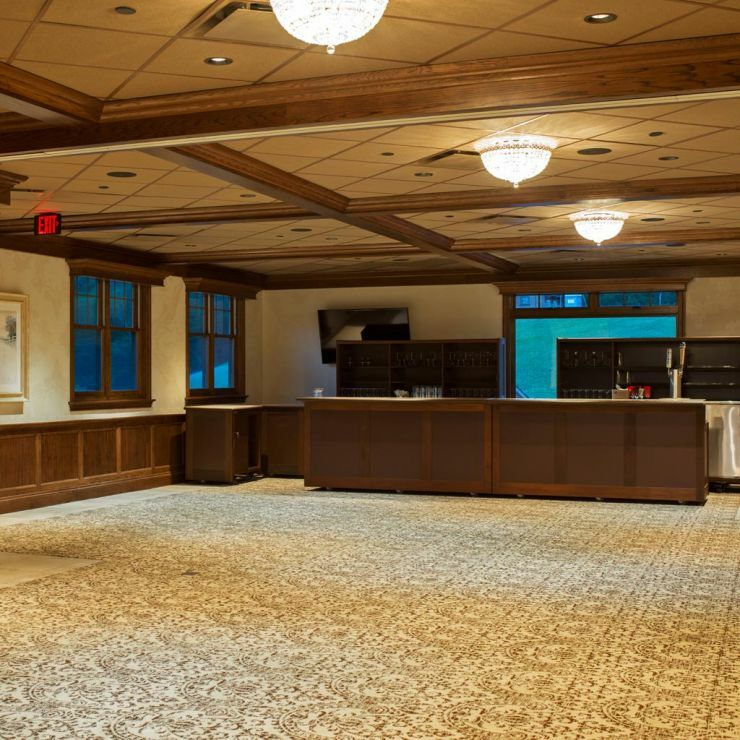 Separated by a paneled airwall, Reception Room B is perfect for a small meeting or gathering. 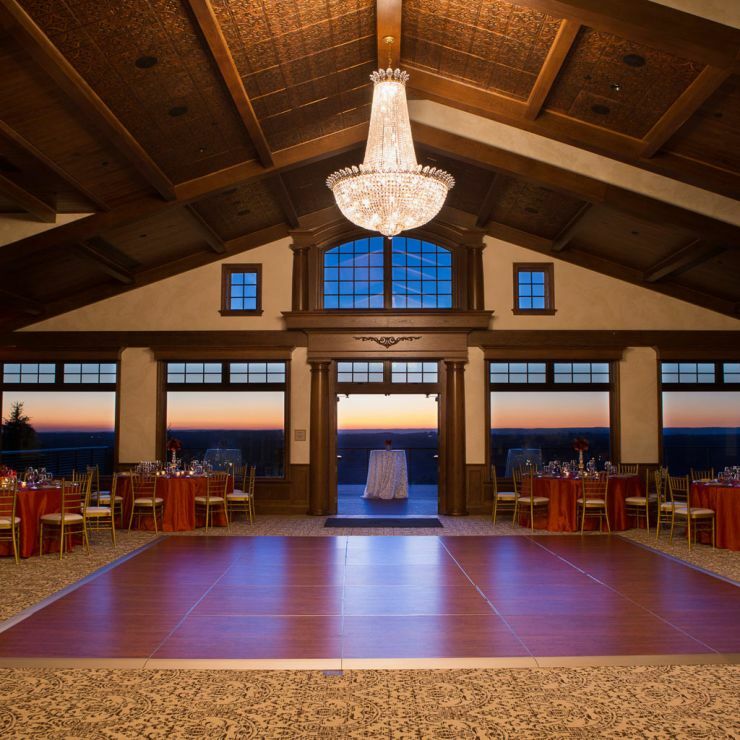 Fold and tuck away the paneled airwall and open up the entire room for a grand reception!